The Fiji Airways Flying Fijians have beaten France 21-14 to claim an historic first victory over the Les Bleus in more than 60 years, less than a year before the World Cup. Both sides scored two tries but the Fiji Airways Flying Fijian’s French-based fly-half Ben Volavola added 11 points from the boot to prove the difference as Fiji held France scoreless in the second half to complete a rare success over a top-tier nation. 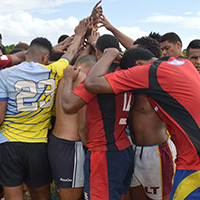 Fiji will go to next years World Cup as dangerous outsiders with the ability to disrupt the established order as they take on Australia and Wales in their pool. Swept aside 54-17 by Scotland a fortnight earlier, Fiji looked much more determined this time to put in a complete 80 minute performance. 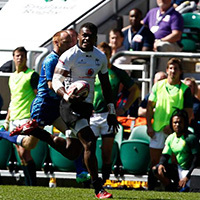 But parity lasted just six minutes as Fiji responded with power and strength, throwing in touches of their sevens flair with a hanging pass and a run with the ball in one hand on display before ‘the Bus’ Josua Tuisova went over. Vereneki Goneva, who plays for Newcastle Falcons, was unlucky to be disallowed a try after sprinting almost half the pitch to cross the line in the 37th minute, however Radradra was called offside in one of several tough calls against the boys in White. France stretched the first half with five minutes of added time in their bid to take the lead with Guirado eventually scoring a carbon copy of his earlier try for a 14-12 home half-time lead. But any thoughts that Fiji might capitulate after the break disappeared quickly as Volavola kicked two penalties to see Fiji 18-14 ahead before Tuisova dotted down for a try that was then disallowed. A television review revealed a late tackle by lock Tevita Cavubati in the build-up to the score. France were under constant pressure from the free-running Fijians for much of the second half. However a few late errors put Fiji fans under a bit of stress with late in the match, but the Flying Fijians managed to defend their line for over 10 minutes weathering relentless attack from France, eventually regaining posession. 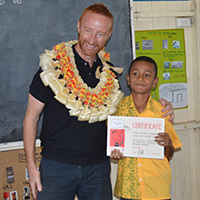 The game was sealed when Volavola added a third penalty kick with the clock in the red which led to the Fijians on the field falling to their knees in prayer thanking for an unforgettable evening in the French capital. The win completed the Flying Fijians November International Tour on a high and Head Coach John McKee will take encouragement that his World Cup preparations are on track with the side not together again until March next year.